Home » Blog » News » Like Dual WhatsApp for Your Dual SIM Smartphone? Like Dual WhatsApp for Your Dual SIM Smartphone? Yeah, that’s a question. Well, if you do, and maybe you don’t like messing around with your phone by rooting it, then meet the all-new Smasung Galaxy J7+. The Interesting thing about this device is that almost everything seems to be double, even up unto a software: For a quick start, it has a dual rear camera, dual bank networks, dual SIM cards, and even ability to install double (dual) WhatsApp application. 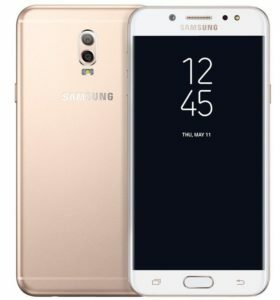 The Samsung Galaxy J7+ was announced in Thailand with a 5.5-inch 1080p Super AMOLED 2.5D curved glass display, is powered by a 2.39GHz Octa-Core processor, which will likely be MediaTek Helio P20 and runs on Android 7.1 (Nougat). It has a 13-megapixel rear camera with f/1.7 aperture along with a 5-megapixel secondary camera with f/1.9 aperture to capture depth information. It also has a 16-megapixel front camera with f/1.9 aperture, has a fingerprint sensor on the front and a metal unibody design and packs a 3000mAh battery. The Samsung Galaxy J7+ comes in Black, Gold and Rose Gold colors is priced at $388 and is available for pre-order in Thailand till September 17th and ships from September 22nd. It is offering free Samsung U Flex Headphones with all pre-bookings.